“Well, I write this and edit that and attend these events…,” I rambled. “Why would people in Toronto care about that?” That was her follow up question, recognizing that Toronto is the biggest market in Canada and we want to sell them more canola oil. I talked about how, through articles in Canola Watch and Canola Digest, I encourage farmers to pay attention to thresholds when applying pesticides, to take steps to reduce erosion, to apply fertilizer in ways that improve efficiency and reduce loss. I said Toronto consumers should know that farmers live on their farms and want to protect their land, their homes and their environment as much and probably more than most other people. The answer was getting long. Jennifer was nodding along, patiently. “OK, now think about the first question again and put your answer into five words,” she said. Seven words. Close enough. Jennifer put up her arms in a gesture of approval and gave me a heart and a Sharpie and asked me to write it down. She spent the rest of the day working through this exercise with others, adding more and more hearts and catchy what-do-you-dos on a web of strings around the booth. By the end of the day, a couple hundred more of us were on our way to more meaningful and positive conversations with those outside of our industry. Jennifer encourages us to think about answers to “why” questions. Why do customers need to care about what we do? Why is your piece of the food story important to them? In food and farming conversations, she encourages us to share in a positive, open, transparent, engaging manner. 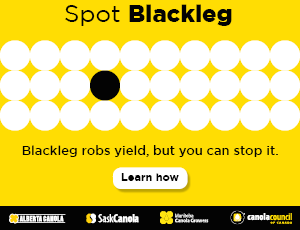 Canola Eat Well is a joint partnership between Alberta Canola, Manitoba Canola Growers and SaskCanola. 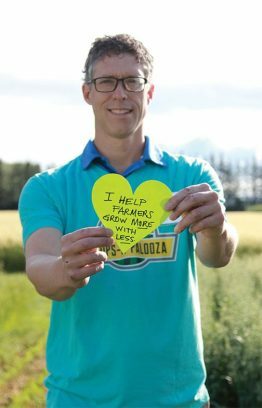 The website, canolaeatwell.com, is geared toward consumers and shares stories about farmers, their farms and what they do to grow food. Check it out. The content will help you with some inspiring words when a customer asks about what you do and why.